Our quest to find the best football tipster on the internet continues today with the commencement of a trial of the aptly-named Football Tipster. With the football season just having kicked off, it seems an appropriate time to start this trial and make the most of the new season. The Football Tipster is a specialist football tipping service that focuses on the main European leagues. Results published on their website go back to 2012 and show an impressive £26,288 profit to an average of £40 stakes, so that’s 657 points profit. Bets are placed in a variety of markets including the match odds, correct score and over/under markets. Bet volume seems to be quite low, with just a few bets per week, so they appear to prefer the selective approach to betting. Subscription costs are very reasonable at just £14.95 per month and they are even offering a free trial at the moment. Given the low number of bets, we may need to run this trial for a little longer than the normal three months. We normally aim to proof at least 100 bets during our live trials, so that is what we will aim for here. We will of course provide regular updates during the trial on how things are going. 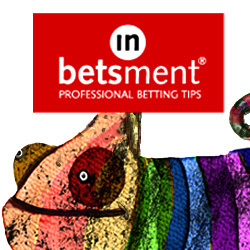 In the meantime, you can view Football Tipster here. Cricket Advisor – Results Update £100 Free Bet!